Small Square Black Powder Coated Finish Stand. Wire diameter is .2 inches. 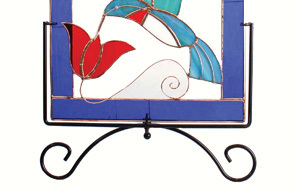 Made to hold/display the small steeple stained glass window panels.